“Not setting goals for your life and career is, to me, akin to going to the airport with no destination in mind,” says Jim Donovan, author of Happy @ Work. He goes on to say, “Setting big, exciting goals challenges you to tap into your true potential and stretches you to become the person you are destined to become. Setting big goals for your career will pull you toward your success.” We hope you’ll enjoy this short excerpt on becoming a goal setter and Jim’s goal-setting process. We hope you'll enjoy this short interview with New World Library cofounders Shakti Gawain and Marc Allen about how our publishing program first began. We also invite you to subscribe to New World Library's YouTube Channel for immediate access to the latest author interviews, book trailers, and more. 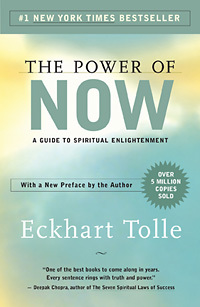 We hope you'll enjoy this short video where Eckhart Tolle, author of The Power of Now, talks about the essential identity that we all share and how realizing this aspect frees us from the mind. We also invite you to subscribe to New World Library's YouTube Channel for immediate access to the latest author interviews, book trailers, and more. Meister Eckhart was a late-thirteenth- and early-fourteenth-century preacher and mystic, yet, like Rumi and Hafiz, he remains relevant today. His work speaks to so many and touches people’s hearts. 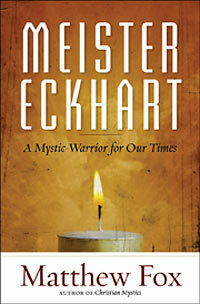 In this short excerpt from his new book, Meister Eckhart: A Mystic-Warrior for Our Times, bestselling author Matthew Fox shares Eckhart’s insights on letting go. We hope you'll enjoy this short interview with New World Library cofounder Shakti Gawain, and we're thrilled to announce that this fall we will be publishing her much-anticipated new book, The Relationship Handbook: A Path to Consciousness, Healing, and Growth. We encourage you to preorder your copy now, and we invite you to subscribe to New World Library's YouTube Channel for immediate access to the latest author interviews, book trailers, and more.